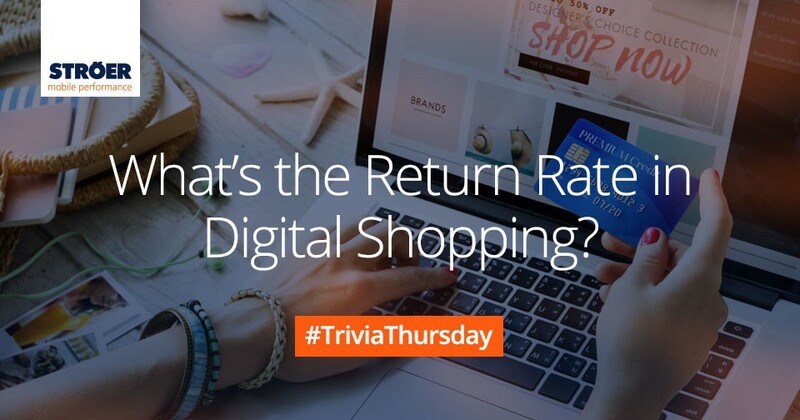 TriviaThursday #11: How High is the Return Rate in Digital Shopping? How Big is the Return Rate in Digital Shopping? It’s convenient, it’s easy to do – and it’s a huge and growing problem. Customers love to shop online. After all, it is so hassle-free to have something sent home, try it, not like it, and send it back. For retailers, this is a growing problem. Companies that entered the market aggressively on the digital commerce side are now trying to understand how to cope with a growing return rate. But how big is the issue, really? Just after Christmas 2018, new numbers were reported by Germany’s digital industry association Bitkom. According to this release, 12 per cent of all online purchases in Germany went back to the retailer. This was up from 10 per cent 2 years earlier. There’s a wide variety of consumer behavior profiles. 32 per cent of all consumers send back 10 per cent or less. At the same time, 27 per cent of the consumers return between 10 and 25 per cent of their shopped articles. According to Bitkom expert Julia Miosga, return rates are problematic in certain segments such as clothing. And they keep rising. According to a story in Handelsblatt, the fashion sector sees return rates above 40 per cent. Individual companies receive 50 per cent of their shipped articles back in their depots. The issue with the return rate is pressing not only in Germany. In advanced ecommerce countries such as Canada, the rate for returns was reported to be 20 per cent. Shopify offers a good overview, featuring the interesting fact that high-priced items are subject to extraordinarily high return rates. For the United Kingdom, Barclaycard reported (in 2016) that a group of “serial returners” had emerged. This is a type of consumer that deliberately decides to order more and return accordingly. This fragment of the market population was estimated at around one third of all consumers – and reportedly caused trouble for six in ten retailers. More Trivia Thursday: What’s the share of smartphone shopping in the Holiday Season? In fact, the common use of return policies also shapes the way customers experience the company and make future decisions. According to Rebound, a specialist company, negative experiences with returns have major impact on relationships between companies and individuals. This is even more relevant if the clients are young. 60 per cent of those between 18 and 25 years old were reported to negatively remember unsatisfactory return handling by a retailer. Steve Dennis, an expert on the transformation of retail, called this growing topic in a Forbes article “The Ticking Time Bomb of E-Commerce Returns”. He believes, though, that the monster we have created will call for a lot of changes and damages. “The good news (for traditional retailers, not consumers) is that it is increasingly clear that many are having difficulty profitably scaling and are not viable enterprises over the long term”, Dennis writes.